The second quarter started in the same vein with Mavericks building an early five goal lead. But the black and yellows were in no mood to let Mavericks start the party. 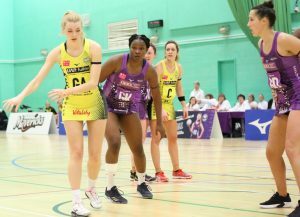 They started to find their form in the second quarter as the new combination with Laura Malcolm at wing attack started to gel. Thunder were hustling and hassling wherever they could and chipped away at Mavericks lead. 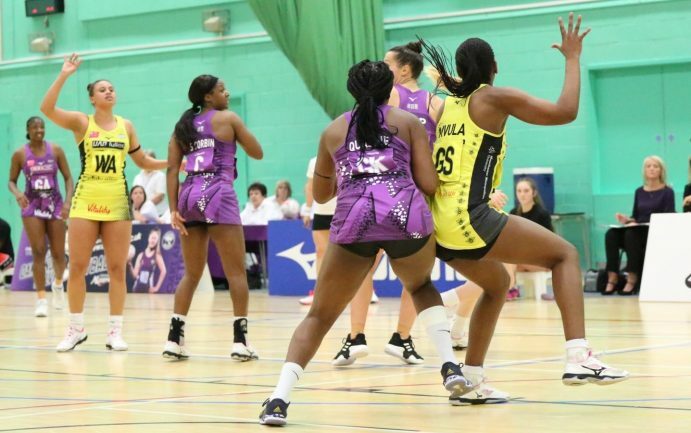 Involving Mvula more in the game enabled Thunder to go into the half time break with a two-goal advantage 28-30. At half time neither team were bold enough to make any changes and who could blame them in such a tight game. 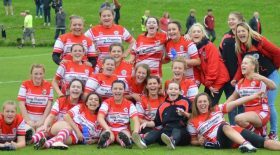 Karen Greig’s side slowly turned the screw on Mavericks and started to build a lead with O’Hanlon and Malcolm running the show in the middle and Kerry Almond setting the tone with two driving intercepts urging her team on. Meanwhile captain Emma Dovey was having a battle and a half with Kadeen Corbin. 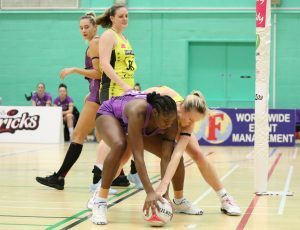 Mavericks reacted by bringing on Steph Collard at wing defence and moving Michelle Drayne upto centre and Georgia Lees to wing attack. 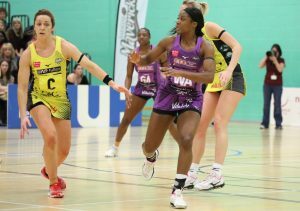 The changes were ineffective and Thunder were in control with the scores at 38-45 going into the final break.